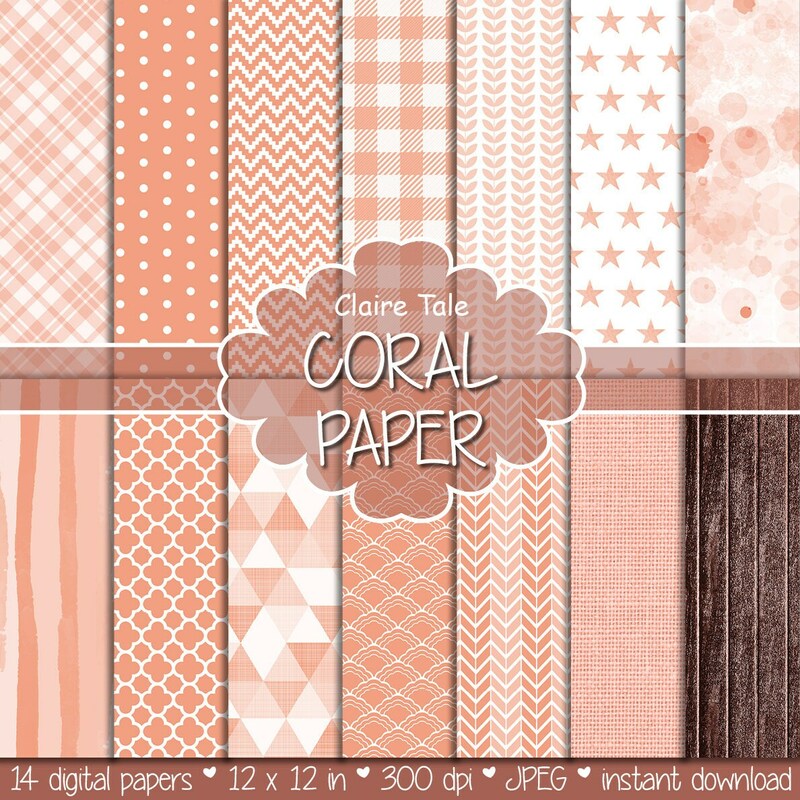 14 coral digital papers: "CORAL PATTERNS" with coral gingham, chevron, watercolour, triangles, leaves, stars, stripes, wood, linen, quatrefoil. Perfect for scrapbooking, invitations, announcements, anniversaries, birthdays, party themes, stationary and paper crafts. Ready for immediate print and digital use. Colors were similar to what was seen online. I printed them out on card stock. Really lovely. What a great set, worked well for me. Thank you!